Farmer Phil’s Festival is delighted to announce that BLACK WATER COUNTY will be joining us in Ratlinghope this August! Through a fusion of folk instruments, punk energy and catchy pop melodies, Black Water County’s sing along choruses rile up audiences all over the UK and across Europe since their first headline tour in 2018. The five piece, a group of 20-something friends from Bournemouth, came together through their love of playing music live. They tell stories of relationships, the people they meet on the road and their own angsty experiences of growing up looking through the bottom of a pint glass. Fronted by Tim and Shannon’s spirited vocals, the band have kicked the party off at hundreds of festivals including Boomtown Fair, Beautiful Days and Camp Bestival and won a place on Fireball’s ‘Fuelling the Fire Tour’ in 2016 and 2018. After independently releasing debut album ‘Taking Chances’ in 2017 along with singles ‘One More Beer Won’t Hurt’, ‘Start Something New’, ‘The Painful Truth’ and ‘Under Skies of Black and Blue’ Black Water County have been focused on unrelenting gigging and writing the next album due for a 2020 release. “It was Black Water County who landed themselves a place on the stage with Flogging Molly in December. 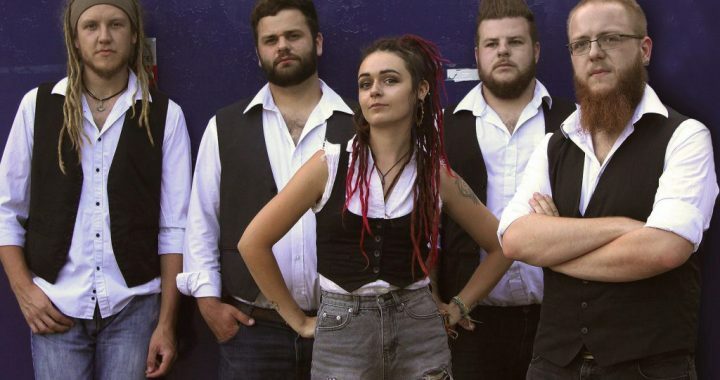 With help from a busload of Bournemouth lunatics wearing ‘Folk Sh*t Up’ t-shirts, the Emerald Isle-influenced six piece started the first moshpit of the evening and cemented themselves as the judges’ favourite for the south coast blowout.” – Kerrang! Posted in Line-up News and tagged 2019, artists, Black Water County.